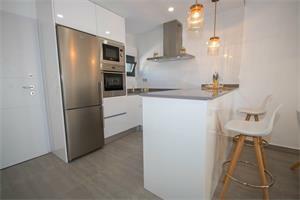 SPECIAL OFFER FULLY FURNISHED AND KITCHEN APPLIANCES INCLUDED. 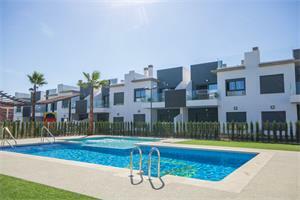 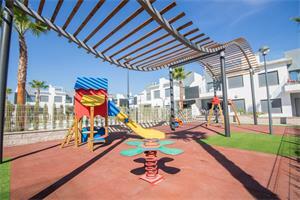 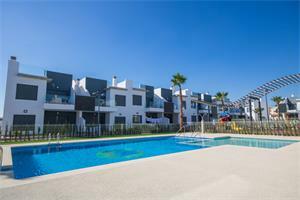 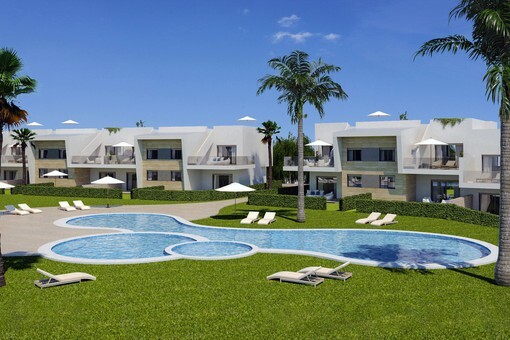 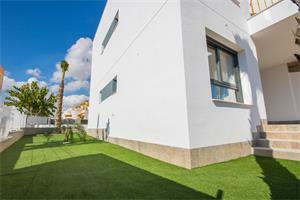 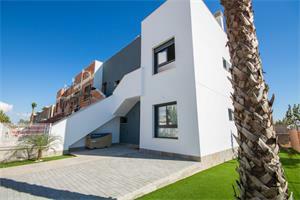 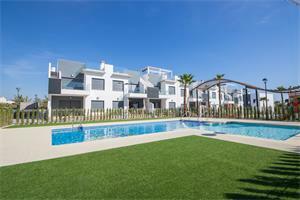 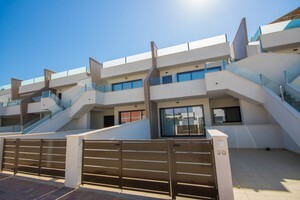 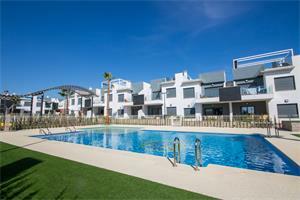 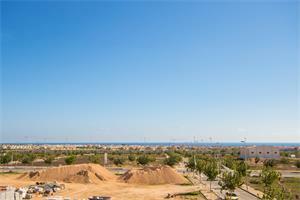 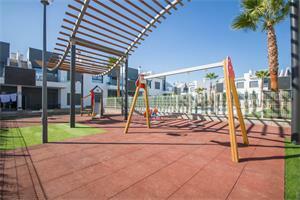 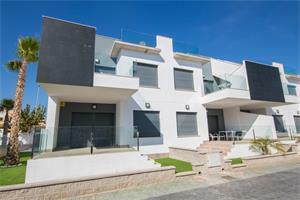 New development built in Pilar de la Horadada consisting in luxury ground and top floor apartments in a gated community with large garden areas, 2 swimming pools and children's play areas. 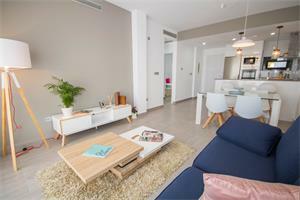 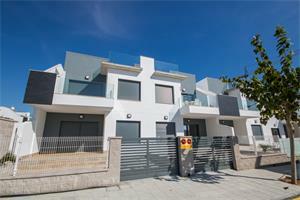 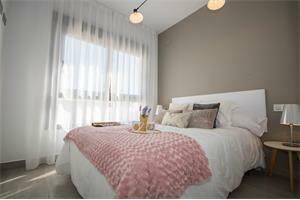 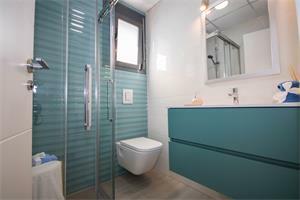 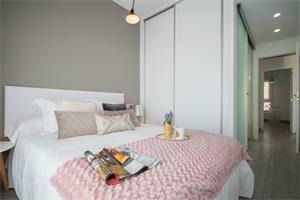 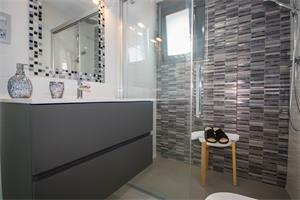 The apartments comprise 2 bedrooms, 1 bathroom, living/dinning room with an American style kitchen and terrace. 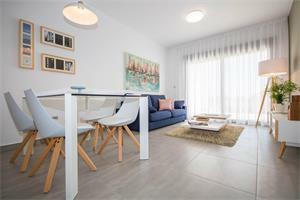 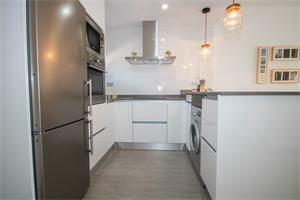 The ground floor apartments include a private garden with off road parking space and the top floor apartments include a 65 sqm solarium with fantastic sea views. 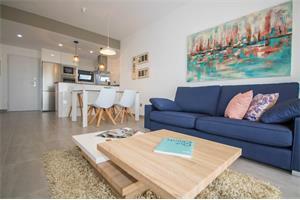 Supermarkets, schools and other amenities are in walking distance and the beach is at 5 minute driving distance. 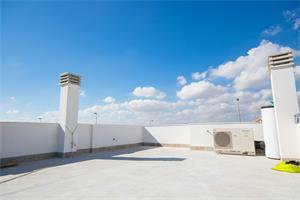 All properties include ducted air conditioning.